The all-new Alto Professional Truesonic TS2W series takes the amazing performance, utility and stunning industrial design of the TS2 range and adds the convenience of Bluetooth wireless streaming. Alto Professional Truesonics have established a well-deserved benchmark for clarity, high output, flexible I/O options and value that has made them the worldwide standard of comparison. Now, with the TS2Ws, we’ve significantly enhanced that level of achievement. The TS215W loudspeaker comes with a 15" woofer with a 2" voice coil and a 1" neodymium compression driver. It can pump out audio at 1100 watts of peak power (700W LF + 400W HF) and 550 watts of continuous RMS power (350W LF + 200W HF). Why doesn't the TS215W have a built-in fan? Won't it overheat? All of the speakers in the Alto TS2 series are passively cooled, so no fan is required. This results in a quieter and more efficient speaker. You never have to worry about the TS215W overheating. Where do I set the volume control knobs on my TS215W? This depends on a number of factors, including what you have connected to the speaker and the various levels you have already set on your other equipment. 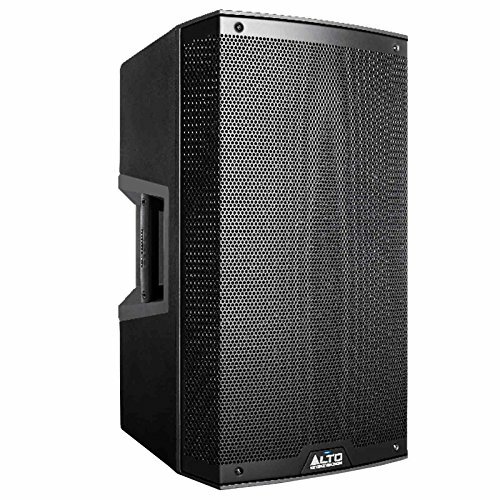 You can find a great guide about Gain Staging this link - http://www.noterepeat.com/products/alto-professional/pa-speakers/truesonic-series/436-alto-professional-truesonic-series-hardware-setup. This guide provides an overview of how to gain stage all of your equipment that connects to your Alto speakers to help ensure the clearest, loudest sound possible! Can I bring the TS215W to a different country? We do not recommend using a TS215W outside of the country where it was purchased unless an authorized service technician has approved it. For the TS215W to safely be used, an internal jumper needs to be changed, and the fuse needs to be replaced. This requires a service technician. For more information on service centers who may be qualified to perform this procedure, please contact Alto Technical Support.